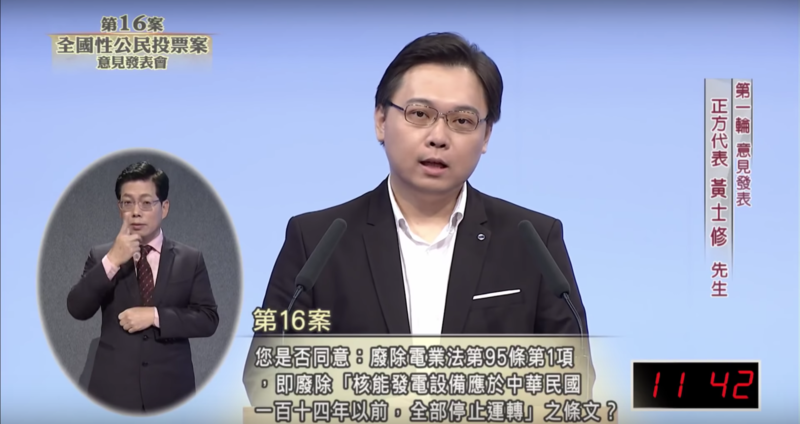 THE THIRD TELEVISED debate on nuclear energy took place on November 12th, with Huang Shih-hsiu (黃士修), the initiator of the referendum on whether Taiwan should remove legal provisions for Taiwan to be nuclear-free by 2025, faced off against Hung Shen-han (洪申翰). The referendum is set to be held during elections later this month. 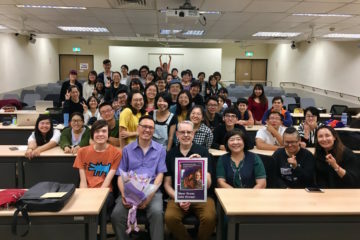 Huang is the convenor of Nuclear Mythbusters, while Hung is a well-respected activist and the deputy secretary-general of the Green Citizen Action Alliance (綠色公民行動聯盟 or GCAA), one of Taiwan’s most prominent environmentalist groups. 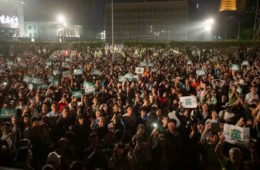 Because of Huang and Hung’s long history of pro-nuclear and anti-nuclear activism, respectively, of the five televised debates on nuclear energy that were held, this was probably the debate which was most widely discussed. 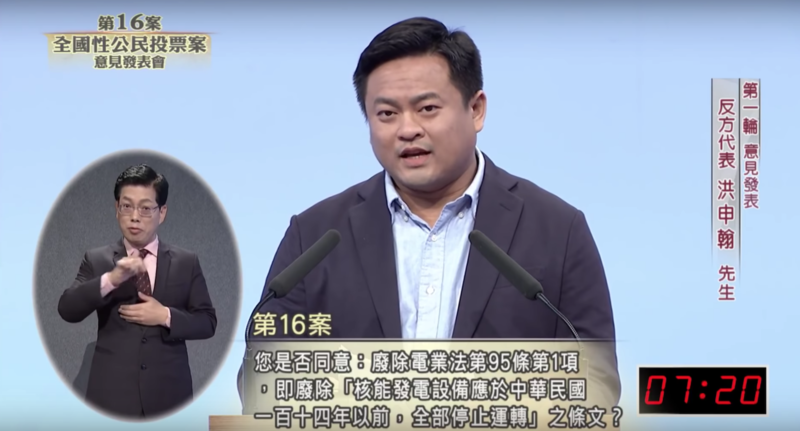 The debate would be a strange one, with Huang spending a great deal of debating time conducting personal attacks on Hung and the GCAA, whom he has come into conflict with for years. 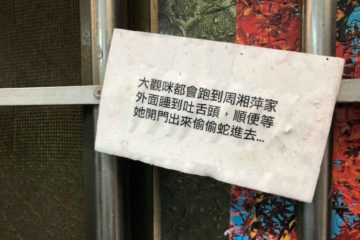 Huang began by claiming that the GCAA was an organization which directly took orders from and was subordinate to the DPP, made personal attacks on Hung calling him stupid, and attempted to depict the GCAA as a laughingstock. Regardless of one’s views on nuclear energy are, it is likely that Huang undercut his own argument a great deal because of his inordinate focus on personal attacks directed at Hung and the GCAA, several times bringing up incidents he begrudged Hung for from years back. 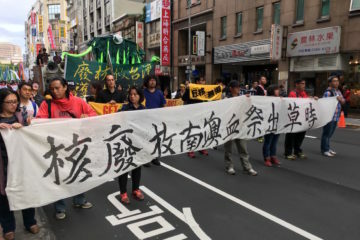 However, this likely all this returns to the degree to which pro-nuclear and anti-nuclear politics are bound up with pan-Blue and pan-Green politics in Taiwan, as the KMT has historically supported nuclear energy and the DPP has historically opposed it. 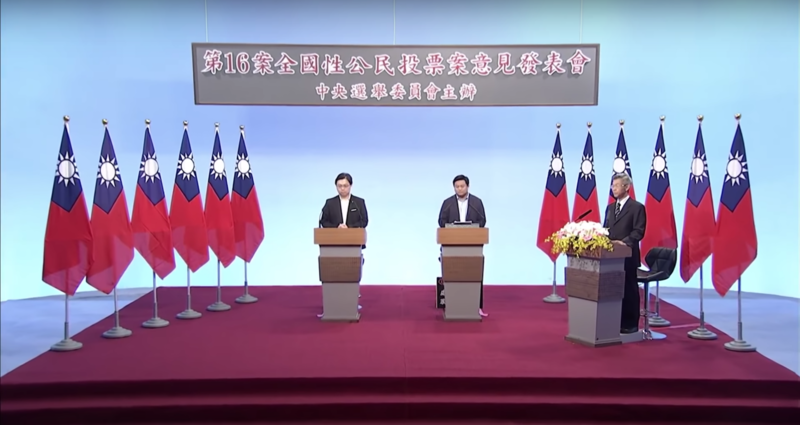 Hung pointed out in his response to Huang that he could easily make similar accusations against Huang of being directly subordinate to the KMT, seeing as he is a former assistant to past KMT chair Hung Hsiu-chu and has worked in a number of KMT thinktanks. Indeed, given its strong history of attempting to distance itself from either political camp, it is somewhat absurd to accuse the GCAA of being subordinate to the DPP. Huang’s comments, then, likely reflect the conspiratorial worldview of many KMT members that the DPP is engineering all political opposition to the KMT from behind the scenes. Nevertheless, Huang’s comments point to the KMT’s strong role in pushing for the current referendum on nuclear energy. 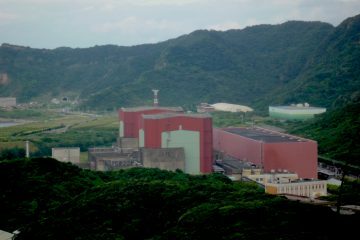 Much of the debate revolved around contestation about what the international verdict on nuclear power was, with both sides offering conflicting sets of facts about whether nuclear power was economical, damaging to the environment, and etc. In his arguments, Huang attempted to claim that the international world was broadly in agreement on the use of nuclear energy. 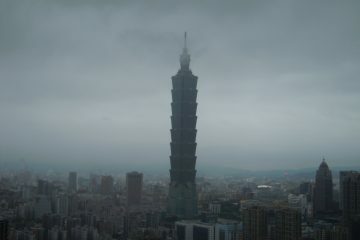 The 2011 Fukushima incident led to fears in Taiwan about nuclear energy as Taiwan is, like Japan, prone to earthquakes. But Huang claimed that the safety of nuclear energy could be observed in that Japan eventually switched back to use of nuclear energy in the present. Huang also downplayed the scale of the Fukushima incident itself, claiming that no earthquake had ever led to a nuclear disaster. 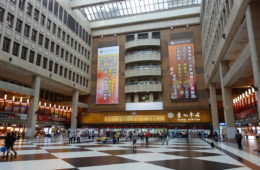 Huang similarly claimed that because opponents of nuclear energy still rely on coal and oil power in their daily lives, this makes them hypocrites in claiming that they are environmentalists, and claimed that because opponents of nuclear energy had acknowledged that the loss of nuclear energy would lead to less power for Taiwan’s power grid, this made them hypocrites. Huang thus emphasized that the international world saw nuclear energy as a net positive, said that those who opposed nuclear energy were selling out Taiwan’s national security and that an entire generation in Taiwan was raised on nuclear energy, which for him, also pointed to the safeness of nuclear energy. 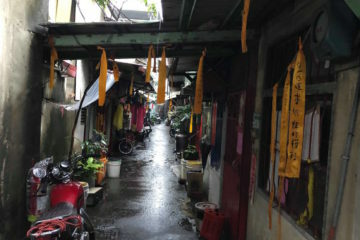 Huang did, however, acknowledge prevalent fears regarding nuclear energy in Gongliao, where Nuclear Reactor No. 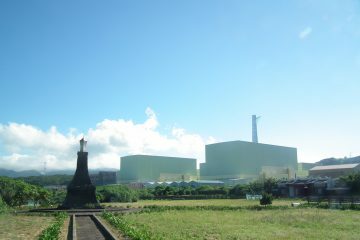 4 is located, and in Lanyu, where nuclear waste was stored, proposing to personally initiate a referendum on nuclear waste storage in Lanyu. Hung countered by stating that Huang was downplaying the effects of the Fukushima incident, seeing as Huang disregarded widespread social opposition to nuclear energy after the Fukushima incident, including mass protests, to instead focus on that Japan’s political leaders pushed for nuclear restarts in Japan. Similarly, Hung raised the fact that residents of Fukushima are still displaced from their homes many years later. 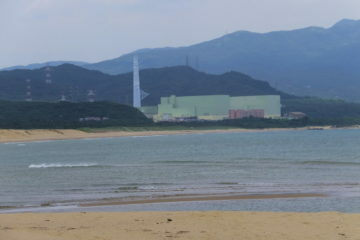 Hung further criticized Huang for his attempt to frame it as though opponents of nuclear energy were not also in support of renewable and environmentally-friendly energy sources, making it appear as though there was no way to oppose air pollution and nuclear energy at the same time, claiming that it was a new tactic of pro-nuclear groups to claim that nuclear energy is environmentally friendly. According to Hung, this was both a false binary and a means of pushing victims of nuclear energy and victims of air pollution against each other as enemies. 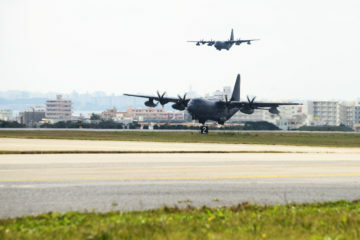 Hung also criticized Huang for attempting to avoid directly confronting fundamental issues at hand with regards to Lanyu and using the nuanced view of environmentalists regarding the dangers of nuclear energy versus other, more polluting forms of energy as a means of attacking them uncritically. 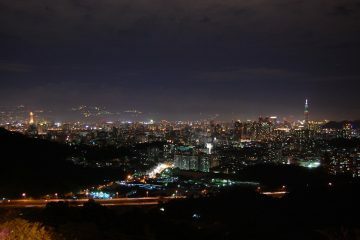 In the end, after the debate, probably both sides will not convince the other regarding the longstanding question of nuclear energy in Taiwan. 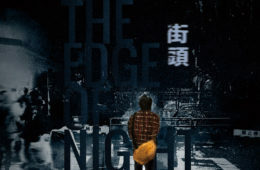 There will be those who are convinced that nuclear energy is safe for Taiwan, economical, and environmentally-friendly, and there will be those who are not convinced that nuclear power is safe for Taiwan, given its frequent seismic activity, disbelieve the claim that nuclear power is environmentally-friendly because of the nuclear waste it produces, and take the view that the economic benefits of nuclear power are not worth the danger. 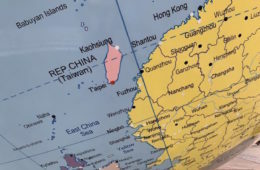 On the other hand, what the debate points to is to what extent the nuclear energy issue in Taiwan is bound up with contestation between the pan-Blue and pan-Green camps. 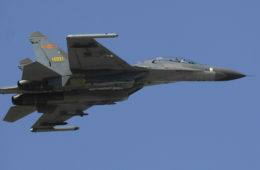 Again, Huang’s unwise emphasis in personal attacks on Hung and the GCAA was highly revealing of his pan-Blue background. But more broadly speaking, it may be that the nuclear energy issue does not exist independently from pan-Blue versus pan-Green contestation. 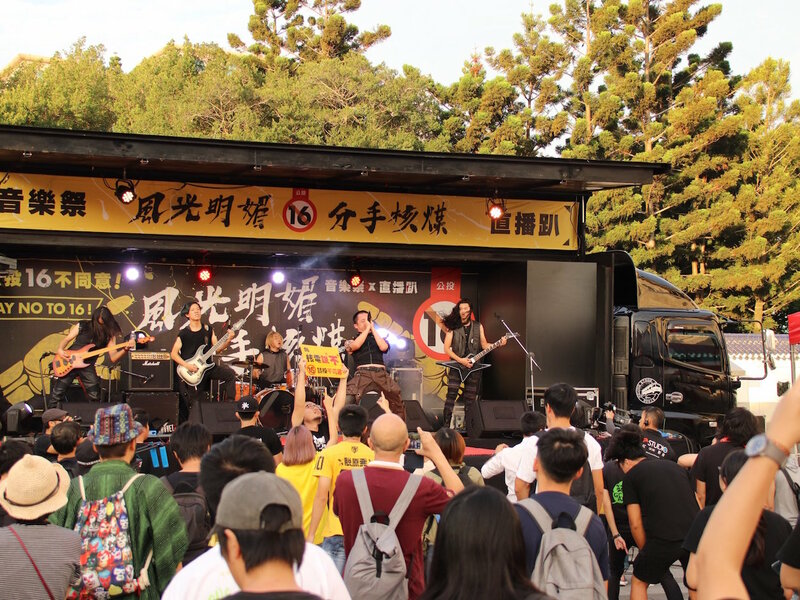 Despite nuclear restarts under the Tsai administration, no large anti-nuclear protests have yet taken place, perhaps because many have not caught on yet that a DPP administration would quietly reinstate nuclear power once in office. 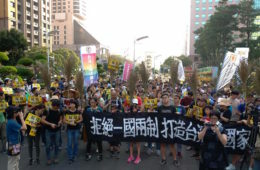 With the view that the GCAA and other civil society organizations with many young members are manipulated from behind the scenes by the DPP, Huang notably seemed to try and attack the GCAA using what were frequently heard criticisms of the KMT in the years before the 2014 Sunflower Movement. 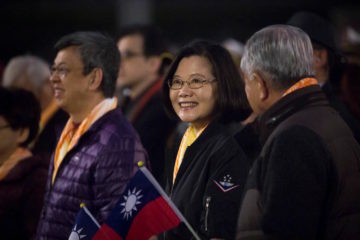 Huang, for example, claimed that the GCAA was a vested interest group consisting of social elites who manipulated public opinion by playing on ignorance, much as members of Taiwanese civil society often see the KMT. 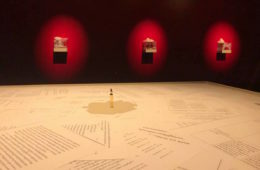 Huang also depicted Nuclear Mythbusters as a group of everyday people who researched knowledge on their own to arrived at their conclusions, using resources newly available to the common citizenry through the Internet, much as anti-nuclear and other civil society groups have framed themselves in past years. 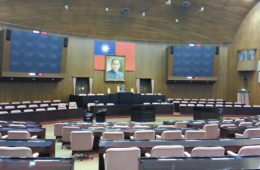 It was probably a losing debate strategy for Huang to try and paint anti-nuclear groups in a wholly negative light—as deceptive and having bad intentions for Taiwan—rather than claiming that both pro-nuclear activists and anti-nuclear activists had Taiwan’s common good in mind, but simply had different views on it. 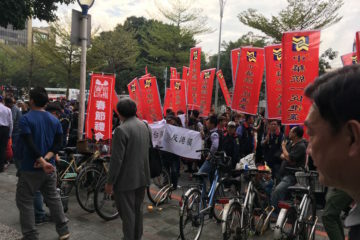 This points to the fact that—even if many non-pan-Blue members of the Taiwanese citizenry will likely vote for nuclear energy in the upcoming referendum—the KMT has been a key force in organizing this referendum as a means to attack the DPP. Quote “Huang also downplayed the scale of the Fukushima incident itself, claiming that no earthquake had ever led to a nuclear disaster.” :: Excuse me? the site was hit by a 9.3 full earth quake the coast line was moved 8 feet all underground structures of all types were crushed. all nuclear power plants underground structures are plumbing and the steam power turbines to the nuclear core pressure vessel which is video taped in recordings exploding in all 4 reactors on the site sky high up to 1/2 mile into the sky the top of the buildings left the planet. no plumbing existed in the nuclear core pressure vessels because no water could get into them because it was all decimated. the reactors pictures are on the power plants website in full pictures as GONE. Arrest Huang as a War Criminal to the world and to China for importing Mox Plutonium radiation items 4 billion years of deadly radiation into China to kill its people for his little pocket of money and pay offs, he is already a War Criminal for the deaths all the people will incure in 5 to 15 years of mox plutonium usaf enrichment nuclear bomb making plants that reactors 3 and 4 were. all for USAF bomb making not for power. 40 years of spent fuel cores melted down the site is deadly for the next 4 billion years out 10 miles now and growing every year. PLease take mr Huang and his family to the center of Fukushima reactor 3 for a inspection himself to see theres NOTHING THERE with his entire family at once Mr China President.